BUY NOW and SAVE $250! 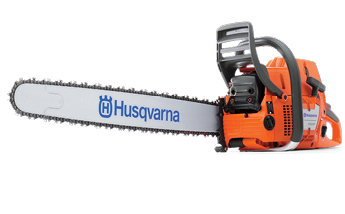 The 395XP Chainsaw comes with a 24" bar, 93.6cc engine and a 3/8" chain. Developed to meet the toughest forestry jobs, but also to be easy to start, handle and service. Well balanced power for working in highly demanding conditions. Combining high power and low weight with rapid acceleration and high engine speed. Recommended Bar Length, min-max: 18" - 36"